Love it or hate it, analysts love to compare college basketball players and teams before the season even begins. It’s not always the best way to determine who will actually be the last one standing come April, but preseason All-American teams are an annual tradition anyway and ESPN has released theirs for this upcoming season, which begins in a matter of days. The ACC predictably dominated again with three players in the first team, but fans of the Big Ten can find comfort in the fact that the conference has one player in the first team in addition to one each in the second and third teams. The Big Ten’s one first team player is more than the Big Twelve and PAC-12 after all, as both of those conferences couldn’t get a single player into the first team. 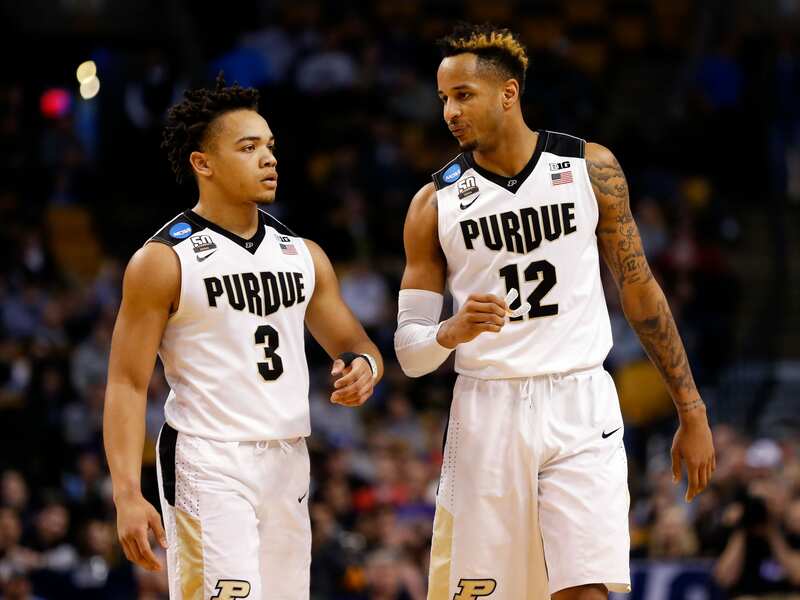 Carsen Edwards is the one that made it, with ESPN effectively projecting him as the best player in the conference. Predictably, Edwards is a junior who should have an experience based edge on some of the younger star players this year, such as rival Indiana’s big name freshman Remeo Langford. He’s also one of the high scoring players whose offensive performances will likely stand out to awards voters at the end of the year. Edwards averaged roughly 18 points per game after all, and made the second most single season three point shots in Purdue history as a sophomore. His average went up to 20.5 in the postseason and Edwards also scored double digits in 35 out of the 37 games that he played in. In other words, he was one of the most reliable options for the Boilermakers and that was as a sophomore. Some are saying Edwards can compete to win some of the national player of the year awards, and that’s not entirely unreasonable. However, Edwards isn’t the only Big Ten player represented in the preseason All-American teams. On ESPN’s second team, one of the forward positions is occupied by Wisconsin’s Ethan Happ. Like Edwards, Happ is an experienced player that will be expected to be a leader for his team. Happ is going into his senior year and is more of an all around player than Edwards is, scoring 17.9 points per game but also adding 8 rebounds per game on top of that. He had a pretty good amount of minutes per game last season, with 30, and was one of the three players that led Wisconsin in playing time. There’s one Big Ten freshman that made the ESPN preseason All-American teams, but you’ll have to look all the way to the third team to find him. This is none other than Indiana’s Romeo Langford, the biggest name recruit for the Hoosiers in a long time. Lanford really needs no introduction and any time a player has so much hype for their high school games and for their college commitment, you expect them to carry the momentum into college. The Big Ten Conference as a whole wasn’t the top one in terms of getting players onto these teams, but it was certainly represented and its three players are better than the Big Twelve and the PAC-12, as well as the Big East. But preseason predictions don’t always come true, so it will be interesting to see just how accurate this preseason team is when everything is said and done.